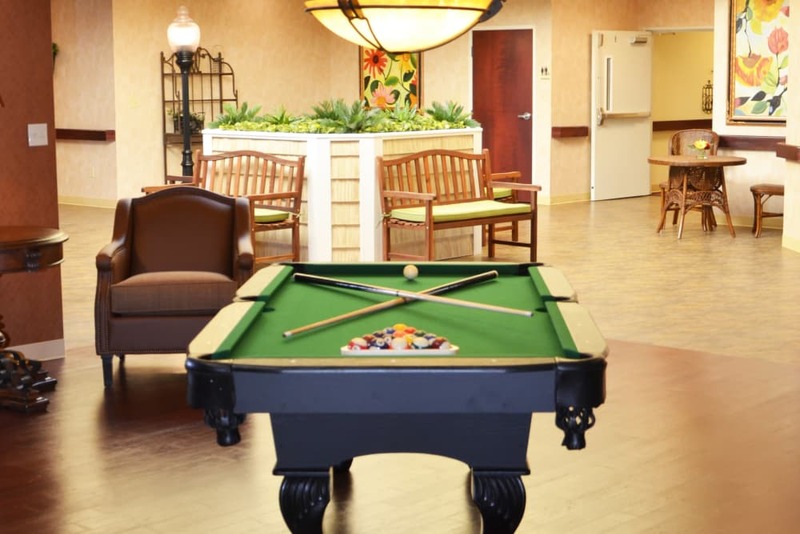 Hearthstone Health Campus in Bloomington, IN, is an unparalleled senior living community tucked away in a town known for its natural beauty as much as its friendly Hoosier culture. Situated just 4 miles west of Indiana University Bloomington campus, off State Road 46, our community makes visits from friends and relatives simple and easy. The tight knit community feel you experience on the streets of Bloomington can also be found right inside our doors at Hearthstone Health Campus. 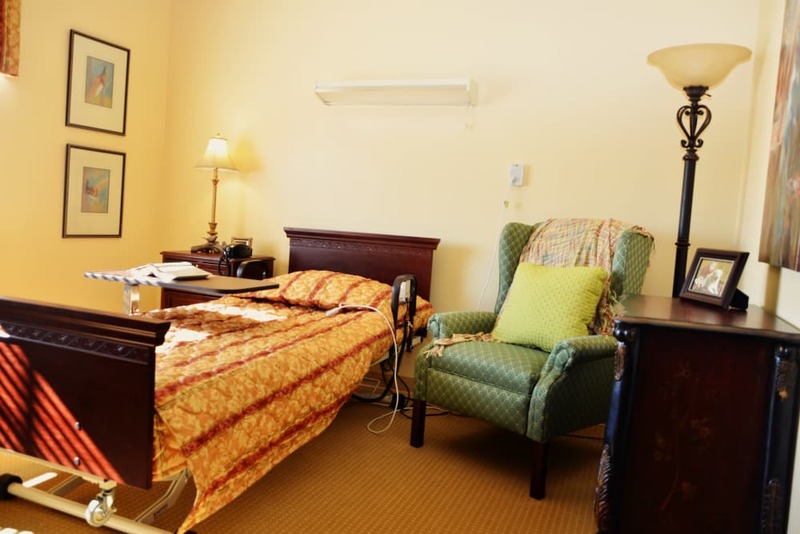 We offer Assisted Living, Memory Care, Short-Term Care and Skilled Nursing on top of a full lineup of premium programs, designed to make every day special. From movement classes to meditation services and art, the thoughtful programs at Hearthstone Health Campus help you enhance every moment of your day. The care you need is right around the corner at Hearthstone Health Campus. Our friendly, professional, and well-trained staff are here 24 hours a day to make sure you always feel comfortable and supported. With a variety of care levels available, our Bloomington, IN, senior living community makes choosing your living option easy. Our Assisted Living suites are suitable for folks who prefer to live independently with a little daily assistance from our team, while our Skilled Nursing neighborhood offers residents the next level of support. Our Memory Care neighborhood provides compassionate, comforting care to people living with Alzheimer’s, dementia, or memory loss. Let us help you and your family find the right level of care to live your best each day. Embrace health and happiness on your terms at Hearthstone Health Campus. Our array of care options ensure that you can stay with us for as many or as few days as you need. To help you or your loved one regain strength after a life event like an injury or fall, our senior living community offers Rehabilitation programs delivered by some of the sharpest therapists in the business. Our team can aid in helping you regain range of motion, improve mobility, and reclaim strength and stability. We also offer Respite Care and Adult Day services as an option for caregivers who need a well-deserved break. 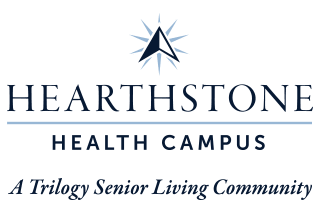 To complement our friendly and attentive care, Hearthstone Health Campus provides a wide-ranging collection of Signature Programs. Stop by our Vitality classes three days a week to get your body up and moving. Follow our guided sensory programs during Mindful Moments, and get in touch with your mind and body. Take in Inspirational Services for spiritual studies and discussion. We even offer a male-centered program called Just the Guys for fun and companionship. Last but not least, our Out and About excursions are offered twice per week. If you’re feeling up to an adventure, you can get off campus and explore all the art, food, shopping, and fun that Bloomington has to offer with the support of our team right at hand. See our Lifestyle page to learn more. The words ‘bland’ and ‘boring’ aren’t in our chefs’ vocabulary. Raise your culinary expectations at Hearthstone Health Campus. 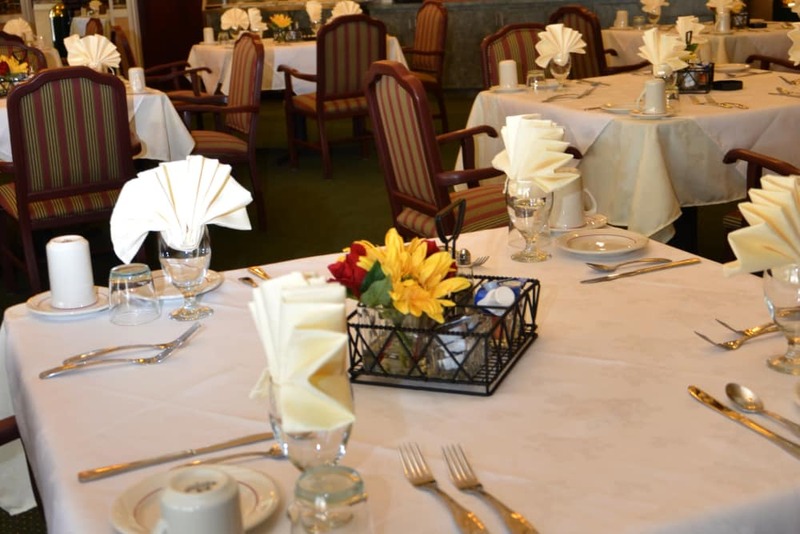 We’re proud to offer an exceptional dining experience at our senior living community in Bloomington, IN. Our professional chefs create fresh and tasty meals that are as appetizing as they are healthy. From hot, homemade soups to delicious handcrafted pizzas, beautifully roasted chicken to sweet confections, our team delivers on flavor. They also take into account individual dietary restrictions so that you are able to choose a meal that suits your palate and your needs. Each meal is served right to you in our upscale dining room so you can eat well while chatting with your friends and neighbors. Schedule your tour of Hearthstone Health Campus today, and ask us about our Trilogy Guarantee!